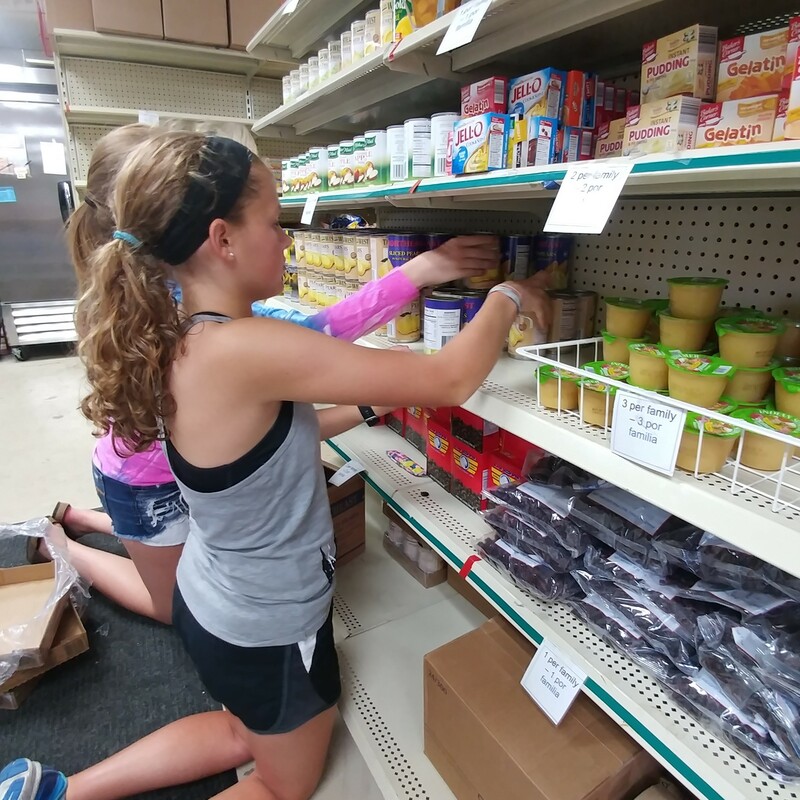 The Pantry is staffed primarily by volunteers. 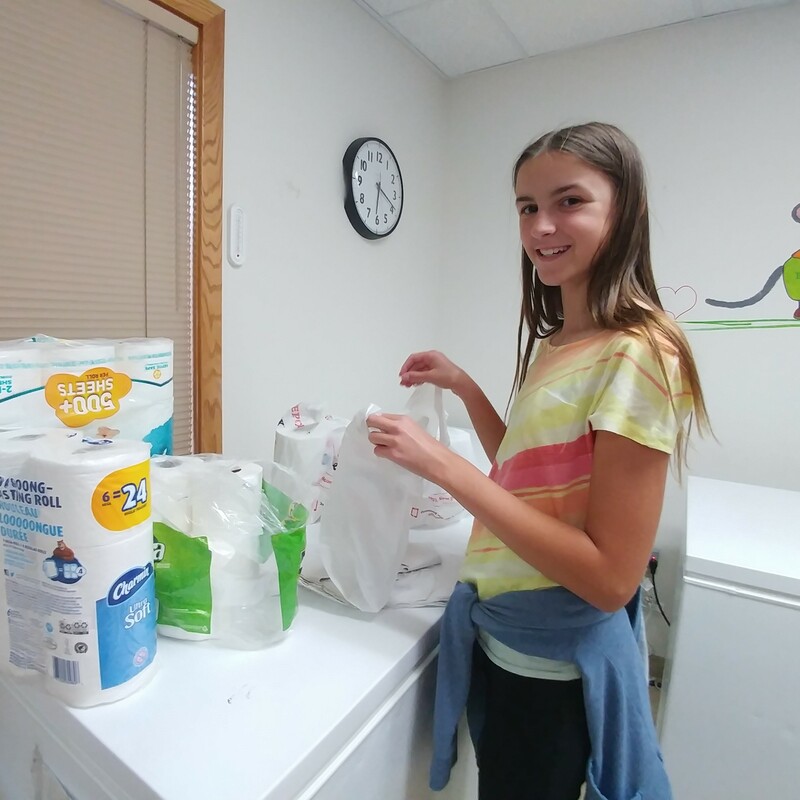 We have volunteers from local organizations such as Optimists, Girl Scouts, Boy Scouts, and 4-H clubs. Help at distributions. This involves helping people pick their food and assisting them to their cars. Help with shelving donated or purchased foods, foods from community food drives and rotating inventory. Help with the repackaging of items received in bulk such as diapers, wipes, etc. Help with shopping for needed items or picking up purchased items. Help with mailings or other organizational details. Please call (608) 644-0504 ext 29 for more information or to volunteer! First, and foremost, remember patron confidentiality is expected and required at all times. Please arrive at the Pantry 30 minutes before distribution begins. A Board Member or an experienced volunteer will be available during each distribution. Feel free to ask questions as you need! A Food Safety Outline is available. Please familiarize yourself with this policy and follow it. When working with the food items, if you find anything that seems to be damaged, spoiled or not fresh, discard it. When in doubt, toss it out! We hope volunteering with us is a pleasant and worthwhile experience for you. Check shelves to see if foods are properly arranged and accessible. A Board Members or experienced volunteer will help determine if any additional items need to be put on shelves. Arrange other food from the freezers and coolers on the shelves or tables so patrons can make their selection. Check availability of plastic and paper bags for patrons use. Registration of patrons – this task is generally by the responsible Board Member for confidentiality issues. All information about patrons is confidential. This is very important! The registrar gives each family a coupon, valid at Sentry, Kwik Trip or Piggly Wiggly for $10 (small or medium family) or $15 (large family). This coupon is valid for one month and can be used to purchase fresh fruit and vegetables, eggs, bread, and/or dairy (milk, butter, cheese, yogurt) products. After completing registration, volunteers will help patrons make their way through the Pantry and collect their food. The shelves are marked with the amount of each item that can be taken, some by family size. There are grocery carts to be used. Assist patrons with bagging their items as they shop. 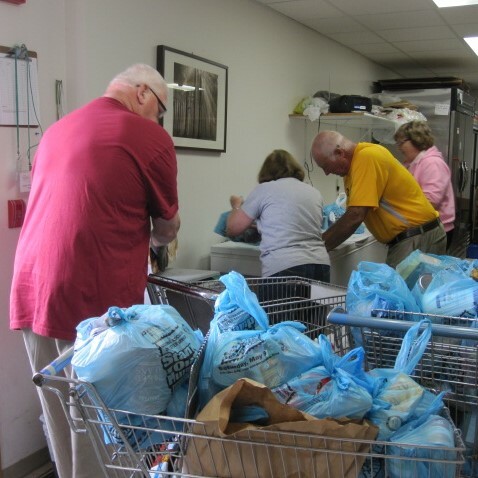 When the patron is finished collecting their food, volunteers help carry out their groceries and bring the carts back into the Pantry. At the end of the distribution, the registrar tallies information on the number and sizes of families served and enters it on a form. Patron cards are then returned to the folder. Return any unused food to freezer or cooler if necessary. Restock and straighten shelves ready for next distribution. Be sure all freezers, etc. are tightly closed. Turn out the lights. Turn off fans. Make sure windows are closed and locked. To print a copy of our Volunteer Guide and/or our Food Safety Outline, please click on the links below.